Haier Washing Machine Service Centres, Customer Care & Head Office Address – Haier is the leading manufacturer of home appliances and laundry appliances. 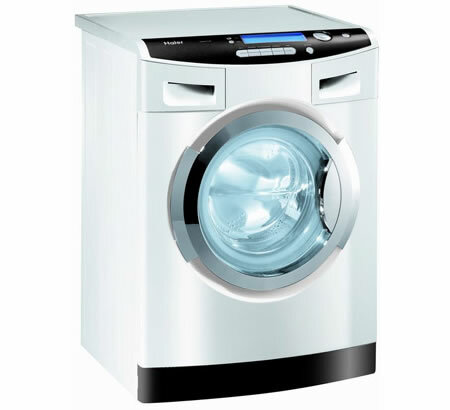 Haier Washing Machines are one of the best products offered by the company. They are available in different models namely front load fully automatic, top load fully automatic, semi-automatic models, customers can choose the specific model based upon the need and choice. It is equipped with the innovative technological features like air dry, shower rinse, quick wash, AMT gasket for the antibacterial wash, Homocentric Drum which helps to save water. Haier Washing Machine Customer Support Phone number – The customers can refer the Haier Customer Care numbers mentioned below and make use of the services offered by the Haier. For any other information regarding Haier washing machine price, Haier washing machine manual, Haier washing machine review, visit the Haier website: www.haier.com/in. Interested customers can even submit a question to the online support team by making use of the inquiries form provided on the website. You can also share your views through the Facebook. I had post my order to ur PCMC delar which referance no is PUN1302150003. I am sorry to say that from 20th Feb to till date we not get a sigle call from ur service centre every time I had call to his Mob.no 9850731040 and then he gives excuse to me. But till today we not get that part of washing machine. Now we call to ur Branch Manager then he also not pickup our phone 09545551155. If you get this types of poor service then no one purchase ur product in future. This is really worst experiance. Kindly confirm this part when we will gate or we take another decision. I have lodged a complaint with your service center for my washing machine. The reference no. is 1210100031 on 10/10/2012. I regret to inform you that till date my problem has not solved.It is really pathotic on your part. 100% agree HELL WITH HAIER. On 2nd Oct 2012 our haier washing machine suddenly stop working. On the Warranty paper it show more than 10 service centre in Jakarta, I tried each of them 5 no answer, the other 5 do not understand what is haier. I also tried call the general distributor that written on the warranty, it is not a haier office, checked the address with the lady, it is the same as written on the paper. We all been cheated mate…….. I purchased a haier wm model HBF655TE 5.5 kg 3.5 yrs back. Front loading wm developed a problem suddenly. The machine swiched on but the drum does not rotate. I called the service centre and logged a complaint no.120180080 dated 18-8-2012. A service engineer came (DSC services chennai) even before opening the wm he told the drum has to be replaced and that would cost Rs.2800. But till now no one came serviced the machine. I spoke to the Head service man (Mr. chandrasekar DSC services) reg. the issue. But he is telling that they don’t have spares and that the drum has to be replaced on the whole. Basically am a Mechanical engineer I found out the problem that the shaft connecting the pulley and drum has failed. It is enough that the shaft alone can be replaced which would cost around Rs.1000 including service charges. But the people for DSC Services are replacing the whole drum and now they are saying the cost would be around Rs.4000. Look at the way the customers are cheated. We believe on the brand power and buy the products but when it comes to After sales service the brand behaves like a cheap Chinese brand cheating customers and not replacing the spares. Today in 24-09-2012 still the problem is not solved. Same story for me also…..